We offer a $250.00 + tax flat rate airport shuttle/limo/taxi transportation service from Gravenhurst to Toronto Pearson International Airport. Toronto Airport Limo is an exceptional limousine service company providing Gravenhurst Limousine Services for Gravenhurst and surrounding communities. 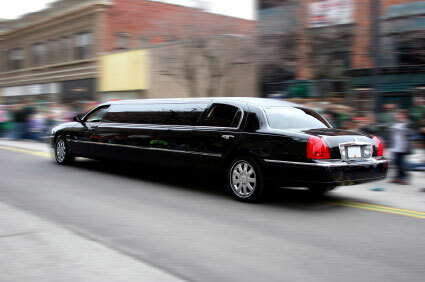 It's easy to rent a limo from Gravenhurst Limousine Service. We have a beautiful fleet of vehicles to meet your luxury transportation needs- everything from luxury sedans, Lincoln Towncars, BMW 750Li, Teslas, Mercedes Sprinter Vans, Cadillac Escalades, to 10 or 14 passenger SUV Stretch Limos. You'll drive and arrive in comfort knowing that all of our vehicles at Gravenhurst Limousine Service are properly licensed and insured. We can proudly say that our Gravenhurst Limousine Services will meet and exceed your chauffeured luxury transportation needs, no matter how many people in your party or what kind of event transportation you require. At Gravenhurst Limousine Service, we take pride in maintaining a fleet of late model luxury vehicles. We provide professional luxury transportation to popular tourist destinations in the Gravenhurst area. At Gravenhurst Limousine Service it's our goal to make your luxury travel experience worry-free and hassle-free. We guarantee high quality, reliable service with the best drivers in the business. Our chauffeurs are always friendly, professional and courteous. All our vehicles are properly licensed and maintained. Our Gravenhurst limousine services can provide luxury limousines for everything from affordable airport transportation to wedding limos, prom and graduation limo rentals to Casino trips. Call Gravenhurst Limousine Service by Toronto Airport Limo the next time you need courteous, professional, reliable luxury transportation in beautifully maintained late-model luxury limos. At Gravenhurst Limousine Service it is our goal to get you there in style while setting an industry standard for exceptional customer service. We know you have other choices so we strive to be the very best. We provide safe, satisfying and enjoyable transportation, without fail no matter how many people in your party or what kind of event you are attending. Never Drink and Drive! - Call Gravenhurst Limousine Service to ensure you arrive and return safely in a chauffer driven limo. Are you looking for reliable airport transportation? Try Gravenhurst Limousine Service. Our Airport Limo/Shuttle/Taxi service provides Limousine Service to/from Gravenhurst and the neighboring communities of: Casino Rama Limousine Services, Deerhurst Resort Limousine Services, Muskoka, West Gravenhurst, Huntsville Limousine Services, Jevins, Muskoka Beach, Reay, Germania, Houseys Rapids, Klueys Bay, Kahshe Lake, Kilworthy, Muldrew Lake, Morrison Lake, Sopher's Landing, Bracebridge Limousine Services, Port Carling Limousine Services, Parry Sound Limousine Services, Orillia Limousine Services and Barrie Limousine Services. Call Us! Our Gravenhurst Limousine Service would be pleased to offer our airport taxi service to pick you up and shuttle you to/from Toronto Pearson International Airport, Toronto City Centre Airport, Lake Simcoe Airport, Huronia Airport, Buttonville Airport, or Downsview Airport. Gravenhurst is a town in the Muskoka Region of Ontario, Canada. It is located approximately 15 kilometres (9.3 mi) south of Bracebridge, Ontario. The mayor is Paisley Donaldson. The Town of Gravenhurst includes a large area of the District of Muskoka, known to Ontarians as "cottage country." The town centre borders on two lakes: Lake Muskoka, which is the largest lake in the Region, and Gull Lake, a smaller cottage-bordered lake. Another lake, Kahshe Lake, is situated 10 kilometres (6.2 mi) south of the town. Gravenhurst was originally named McCabes Bay and later as Sawdust City. 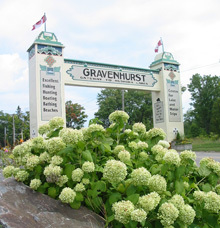 Gravenhurst was named after a village in England which is mentioned in Washington Irving's Bracebridge Hall. Gravenhurst is proud to be home to 11,000 or more permanent year round residents and welcomes a seasonal population of equal size to enjoy the many attractions, hiking and biking trails, parks, beaches, heritage locations and culinary, cultural and artistic pursuits. Be Sure to mark your calendars to join us for amazing festivals, events and activities all year round, including the Antique and Classic Boat Show, Piratefest, Dockside Festival of the Arts, Winter Carnival and Music on the Barge. Choose Gravenhurst Limousine Service as your preferred transportation provider for all your business and personal travel needs in and around Gravenhurst, Ontario.Our Gravenhurst Limousine Service is always courteous, friendly, professional and reliable.Toronto Airport Limo also provides Bracebridge Limousine Services and Orillia Limousine Services.